Les Petits Chanteurs de Saint Marc – An Evening Of Disney Delights And Season’s Greetings. *Early bird ticket sales close on 31 August 2018. Looking for an unforgettable musical experience and lots of fun for the family this holiday season Brought to you by Licha Stelaus Productions, enjoy an evening of delightful Disney tunes and catchy Christmas carols sung by the angelic voices of The Saint Marc Children’s Choir (PCSM: Les Petits Chanteurs de Saint Marc). 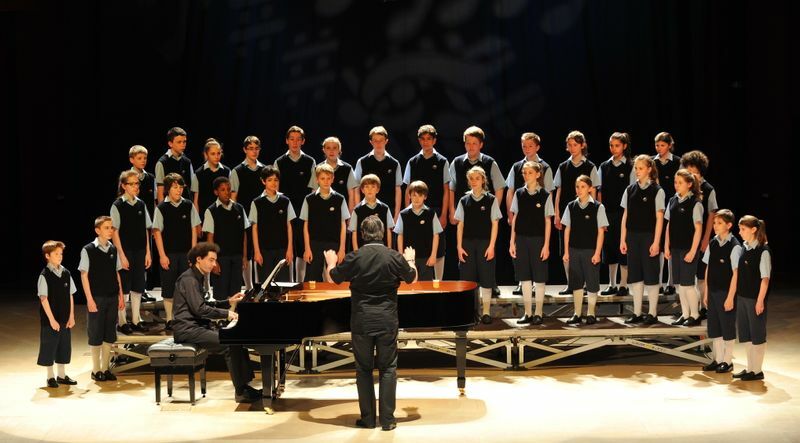 Well known for singing in the Academy-award nominated movie “Les Choristes”, The Saint Marc Children’s Choir will dazzle audiences in their two-night only performance at the Victoria Concert Hall this November. Audiences young and old alike can enjoy timeless Disney classics like “When You Wish Upon A Star” from Pinocchio, “Colours Of The Wind” from Pocahontas, “Can You Feel The Love Tonight” from The Lion King and something to excite the little ones—“Let It Go” from Frozen. With songs sung in French, this is an excellent opportunity to expose your young ones to a foreign language in a fun way! The musical adventure doesn’t stop there. Singapore’s very own Quek Jun Rui, a 15-year-old oboist currently studying at NUS Yong Siew Toh Conservatory of Music, will be lending his musical talents to the performance, with beautiful melodies that harmonise perfectly with the choristers. Book your tickets now to enjoy a magical evening of heavenly voices!